Call the caring professionals at ServiceMaster DAK in Long Grove, IL to help you improve your indoor environment. 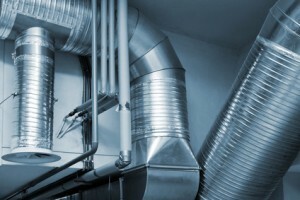 The professionals at ServiceMaster DAK can help reduce or eliminate dust and contaminants from your HVAC system – we offer expert air duct cleaning services in Long Grove, IL. The US EPA has listed poor indoor air quality as America’s 4th largest environmental threat. Removing the accumulation of dust and contaminants in your ducts and vents can drastically improve problems with your indoor air. Beware of “blow-and-go” air duct cleaning companies. Blow and go companies often charge a small amount but do a poor job of cleaning your air ducts. Improper air duct cleaning can actually worsen the dust and air quality in your home. An air duct cleaning job should take on average about 4-6 hours if done right. We take the time to do duct cleaning right, no “blow and go process” from ServiceMaster DAK. Serving Long Grove, IL and surrounding areas. Rating: , Review by J.L.